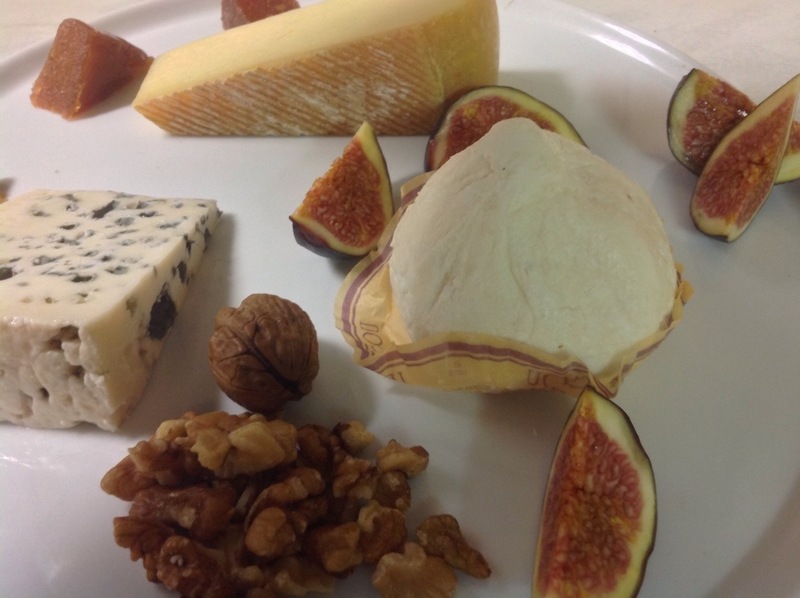 Three great cheeses from Midi Pyrenees & Limousin on tonights cheese platter. Firstly we’ve have Figou fermier from the bottom of the Limousin, made from goats milk it is a creamy cheese with fig confiture in the centre. It is a fresh cheese with a mild goaty flavour. Secondly we have Bethmale a cows milk cheese named after the village where it is made in the Couserans region of Comte de Foix. Legend has it was favoured by Louis VI who passed through the region in the XII century. 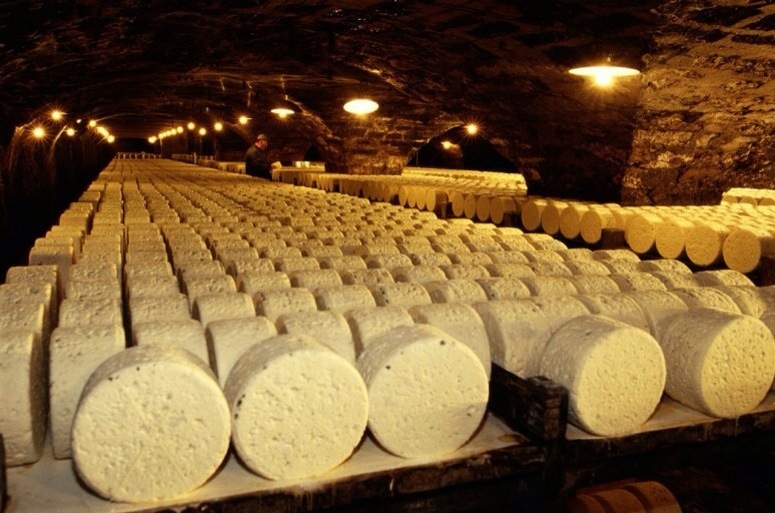 It is an uncooked hard pressed very mild cheese with distinctive slight holes marking its appearance. Lastly but my no means least we have Roquefort Papillon Noir, this cheese owes it’s fame to its green & blue marks, the quality of the ewes milk it’s made from & and the traditional methods used. A complex but well balanced cheese, on the palate it starts off mild before turning slightly sweet then smokey before finishing slightly salty. Like all Roquefort it has a AOC protection & it must be aged in the natural st one caves on Mount Combalou in Roquefort-sur-Soulzon.